What is it? 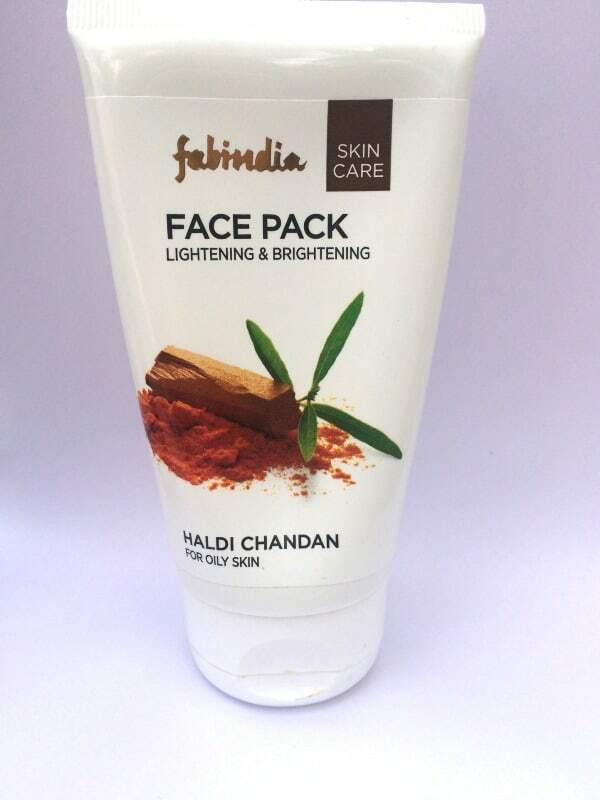 FabIndia Haldi Chandan Face Pack is a face pack made with turmeric extract and Multani mitti. It claims to clear the skin and enhance the complexion with regular use. This mask comes in a plastic tube with a picture of the main ingredients on it. Basically, it has a simple, no-nonsense packaging. This face mask has an unmistakable sandalwood fragrance. 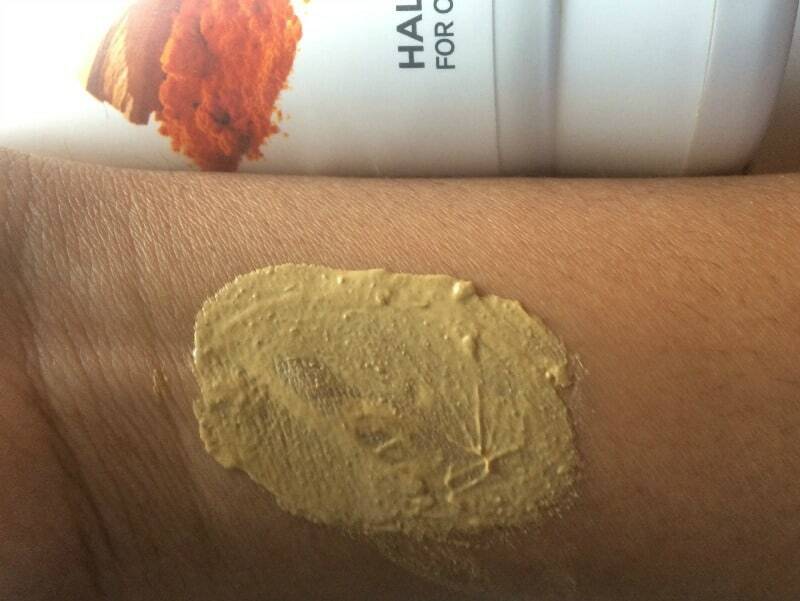 It is cream colored and has the soft texture of Multani mitti. Turmeric is famous all over the world for its antibacterial and anti-inflammatory properties. It also helps in the treatment of acne. Sandalwood is a natural astringent. It also helps in toning the skin. Apply directly to face and neck in upward strokes. Keep till dry and then wash. The first thing that you notice about this face pack when you start applying it, is that it is very soft and creamy. It spreads quite evenly on your face. About a minute after applying it on my face I started feeling a slight tingling sensation. This, I feel, is due to the presence of turmeric in the pack. However, it was gone soon, which was a relief. The pack takes about 15 to 20 minutes to dry. I washed it off with cold water and it came off quite easily. My skin felt quite refreshed and there were no signs of redness, which I was expecting because of the tingling. It definitely gives a warm glow to the skin. It also helped to remove tan from my skin. Whether it clears the skin remains to be seen as I have used it only once. Overall it is a good product. Women with sensitive skin should take a patch test before they use this pack. I definitely did not expect so many non-natural ingredients in a Fab India product. I would definitely repurchase as it worked very well for me. I have oily skin and it has given me the results I was looking for. This product works great for oily skin but I would not recommend it for those with sensitive skin. I definitely will try this as i too have oily skin ..
Would like to try it in summer..